NHS trusts in the National Programme for IT's beleaguered southern region have already begun drafting specifications for systems that may replace those supplied under the controversial project. The Department of Health (DoH) has been helping trusts formulate their specifications ahead of a major announcement in the autumn over the future shape of IT in the NHS. Their specifications will form the requirements for a tender to select systems suppliers when the controversial £546m National Programme for IT (NPfIT) contract with BT ends in 2014. The move adds further context to recent revelations in Computer Weekly about the high costs of NPfIT systems in comparison to those that some trusts already had in place but were forced to ditch under the terms of the national programme. Bill McAvoy, chief information officer of South Central Strategic Health Authority, said trusts in the region still had no idea what it would cost to use, maintain and develop NPfIT systems after 2014 when the £5bn central budget dries up and the IT bill is handed back to individual NHS organisations. "Those discussions are taking place. The trusts are actively involved in those discussions with the contract holder, i.e. the Department of Health, and the Strategic Health Authority, to get the information in which to make an informed decision about the long-term objectives," he said. "Like any other contract, we contracted for the costs up until the end of the contract. At this moment in time we haven't asked any supplier for any costs post-contract. We've got to understand what trusts want first and then we start to discuss [that] with the suppliers and say, this is what the new service model is going to look like, give us a cost against that. We can't ask the suppliers to give us a cost without having clearly defined the requirement," McAvoy added. He said trusts in the region still didn't know whether BT would hold them to the best-cost estimates for continuing use of the RiO care records system they already had. For one trust, the then Oxfordshire & Buckinghamshire Mental Health Trust (OBMH), those costs had been shown in a study last year to start at £350,000 excluding internal staffing, ongoing development and workarounds to accommodate the system's inadequacies. OBMH already had a care records system for which the price of all these factors was covered for just £90,000 per year. Trusts would decide for themselves what they wanted, said McAvoy, and might collaborate to procure a regional system if they wanted. Neither the health authority nor DoH were mandating anything, in keeping with the "Connect All" strategy the Department of Health unveiled last year, in which open interoperability standards would give local trusts more freedom of choice for suppliers and systems. A spokeswoman for the DoH said it would state its position on the future of NHS IT in an autumn announcement that would reiterate reforms introduced by ex-NHS CIO Christine Connelly and reflect deliberations between the DoH and Cabinet Office over the remaining NPfIT contracts. Phil Sissons, a consultant who has liaised with NPfIT suppliers on behalf of the NHS, said the national contracts had turned out to cost so much more than local procurement because they replicated costs. Trusts previously had their own IT departments that supported numerous systems. That support was handed to individual suppliers of different systems under NPfIT, which levied charges against stringent contractual terms designed to raise service levels. The costs had been compounded by legal fees and a long supply chain in which too many agents sought to take a margin from the supply of a single system, he said. Murray Bywater, managing director of health IT consultancy Silicon Bridge Research, said the DoH must now decide whether the more than £1bn of unspent NPfIT budget could be spent outside the programme. Allowing NHS trusts to use the remaining budget to buy systems outside the programme would help those still waiting for NPfIT systems, he said. It might also legitimise CSC's recent purchase of care records systems supplier iSoft because the acquisition puts CSC in infringement of an NPfIT contract clause not to supply its own systems under the programme, he said. 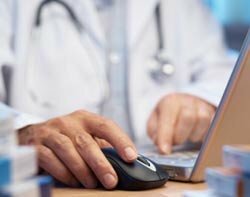 BT said in a statement to Computer Weekly it is committed to delivering its existing health contracts and is working with the NHS to look at how to continue to meet the health service's needs in the long term. "On our local service provider programme we have achieved many notable successes and believe our contracts represent good value for money. We have installed and are running systems in around 100 organisations across London and the South of England and now have more than 170,000 users," said a BT spokesman. "Specifically, on our work with community and mental trusts, we have recently started to deploy the latest version of the RiO software which will offer even more clinically rich functionality, having completed our rollout of systems to 62 trusts across London and the South of England. We continue to engage with the NHS in London and the South to understand their changing needs and to see how we can best support them in the future."